Our mission at A.M.I. is to be a source for enlightenment, light and love, to all beings that dwell upon our planet. We act to encourage, empower and inspire people, assisting each one to know she or he is truly unlimited, a master within becoming a master in outer life. We promote peace in every heart, and between every person, group, and nation: peace on Earth. We are part of the movement to lift Earth and all her kingdoms, so that enlightenment, peace, understanding, respect and forgiveness, love, and the knowing we are all one, brings happiness to all beings. 1. Our Sacred Images collection includes self-realized beings of different faiths and paths. The role of each being is to reflect back to the viewer the depth of enlightenment and mastery already present within. A universal message of these great beings is that we are all one. Other facets of this collection are sacred yantras, mantras and mandalas, revered archetypes of ancient earth mythology, and visionary art. Our Sacred Images catalog is an inspiration in itself. 2. 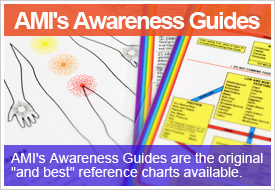 Our Awareness Guides are the original, rainbow-bordered reference guides, considered to be the best available. Volumes of research and information are condensed and organized for a user friendly, instant reference. They cover alternative health or metaphysical subjects such as chakras, crystals, herbs, aromatherapy, nutrition, ayurveda, color, astrology, numerology and more. They make knowledge of each subject easy to keep handy. 3. The books, CDs of Joanna Cherry, a spiritual teacher and speaker for many years. Joanna believes the possibilities for humanity are infinite, including reversing the aging process and becoming physically immortal; and ascension, or taking one's body into light. She also addresses practical subjects such as prosperity, life's purpose, relationships and more. She offers sessions which assist each person to connect more deeply and clearly with the high self, and clear past issues. We offer our inspirational products and services with devotion to all beings. We guarantee complete satisfaction with every purchase. If any item proves unsatisfactory, or we erred in fulfilling or shipping your order, please contact us within 15 days to tell us the problem and your request. If you return items, please pack them carefully; credit or exchanges will be issued only when we receive returns in good condition. Our standard shipping method is U.S. Post. To insure tracking and delivery we recommend insurance for an additional fee; please indicate if desired. Declined credit cards are subject to a surcharge of $5.00, so please double-check your available credit balance and verify the card data before submitting these to us. Thanks! Every blessing along your spiritual path!